The Islamic Renaissance Front views the recent claims that voting for DAP is haram with great concern and unease. We believe that those claims are contrary to the spirit of Islam, which holds that a leader is not to be valued in terms his or her race or religion per se, but fundamentally by his or her character and commitment to upholding justice. A just non-Muslim is more worthy of being a leader than an unjust Muslim. This notion is based on the one of most important principles in the religion of Islam that supporting a corrupt and despotic leader although he is of the same race and religion is tantamount to supporting injustice, when injustice is the main enemy of Islamic law. The great Muslim reformer from Syria, Abd al-Rahman al-Kawakibi (1854 – 1902), held the opinion that since oppression and despotism are contrary to Islam, a just non-Muslim ruler is preferred to a tyrannical Muslim leader. In particular, we find DAP’s vision of Middle Malaysia, wherein dignity, opportunity and prosperity is promised to all Malaysians regardless of ethnicity, gender and religion, wherein the welfare of the poor and oppressed are secured, as in no way in contradiction with Islam’s own aspirations for a just society in a modern globalized age. 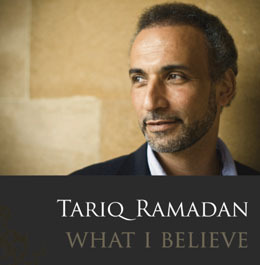 On this matter, we echo the position of Tariq Ramadan who has insisted time and time again that the Hudud penal code is not the be all end all measure of a Muslim’s faithfulness. Nor is the Islamic state the principle criteria to ensure the well-being of any society. Instead, the real challenge for Muslims today is pluralism: that is, how to live peacefully in a culturally complex and dynamic world that is ever-changing. As Tariq Ramadan states it, Muslims must end their preoccupation with models and rules and focus on objectives and values of justice. It is indeed a reflection of the sorry state of the contemporary Muslim mind that he must think of empowerment primarily in terms of punishment and state control. In the case of Malaysia, non-Muslims and non-Malays are often imagined to be at the receiving end of that fantasy. What is more worrying is the attempt to promote the assumption that any wrongdoing by a Muslim is to be better than the righteousness of a non-Muslim. As Muslims, we have the duty to command good and forbid evil regardless of who does it. What is tragically ironic about this campaign against DAP is that it is being spewed by members of a party whose own leader is busy talking about the importance of Wasatiyah or a moderate approach to religion. This also explains his ambivalence with regards to the Hudud penal code or an Islamic state which has somehow been left unquestioned in these polemics. The Prime Minister has gone on record to express his commitment to moderation, but while this has been done ostentatiously in front of the international press, it is deeply disappointing to see him utterly silent with regards to the extremism happening in his own country, propagated by sympathizers and members of his own party. The so called religious scholars of iLMU, UMNO’s official organization of Islamic scholars, are one case in point. Fathul Bari Mat Jahaya has, unsurprisingly, stood in defence and further justification of Abdul Sa’amah’s initial position, claiming that DAP, because their position on Hudud, are unlike MCA. The fact that MCA has on numerous occasions came out in opposition to the Hudud had somehow escaped Fahul Bari’s memory or attention. At best, he is ignorant of recent events in Malaysian current affairs. At worst, he is ignorant of BN’s electoral coalition strategy altogether, whereby because of Malaysia’s diverse demographics, Malays have no choice but to co-operate with non-Malays which has meant voting for Chinese candidates from an anti-hudud party like MCA. The latter is perhaps more likely to be the case since several figures in iLMU have expressed their disdain for democracy altogether. In an op-ed in Utusan Malaysia earlier this year, Fathul Bari even tried, desperately and unsuccessfully one might add, to argue that the Prophet Muhammad himself was racist. The challenge of upholding democracy and justice in Malaysia begins with the fact that Malaysian society easily lends itself to the politicization of race and religion. We at the Islamic Renaissance Front believe that Malaysians will not see the true face of Islam flourish in their country if it will always be an ingredient to exploit racial sentiments. Indeed, the undertones to the demonization of DAP that we are witnessing reflects just that: the use of religion to demonize a party whose majority of members are non-Malays. It is an old strategy in the fascist book of tricks: to dehumanize the other, to relegate and reduce their individuality into racial labels and to render their hopes, fears and vulnerabilities invisible: in other words, to oppress. What is worst: passages from the holy Qur’an are evoked in the process for justification. The Islamic Renaissance Front once again calls for a civil political discourse, whereby issues of pressing importance are discussed in a calm, rational and dialogical manner, where compassion and empathy – rather than the desire for power and competition – reigns. The conversation should proceed with an eye to ending oppression and finding a just solution for the happiness and prosperity of all. This statement was also published by the Malaysian Insider.